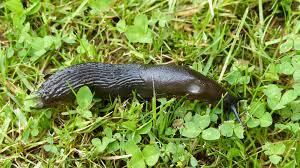 Slugs and snails are simply not the small living organisms to have around your garden. As a gardener or a small-scale farmer, you might have seen and concluded this also. If you already haven’t had to wake up to a tsunami of slime-balls; oh well its a sigh of relief for you. However, it is important to be readily equipped just in case the slimy army decides to visit and stay in your garden. To bring you to a better understanding of how exactly these harmless-looking creatures turn out to be a complete nightmare, let us do a small background check on slugs and snails. Slugs and snails are gastropods and members of the molluscs species. Gastropods means stomach foot; they obviously slide/move by their stomachs. Slugs and snails have shells just like every other member of the molluscs species. It is hard to believe that slugs actually do have shells. But the truth is they do have a shell; only that the slug’s shell is very small and is hidden inside the slug. Both slugs and snails are not good looking at all; beauty lies in the eyes of the beholder; but on this one its a fact: they are not a pleasant site at all. Both slugs and snails come in different colors and shell patterns; they all do not look the same. There are actually shell patterns that are quite artistic. And there are relatively good-looking slugs; the red ones. Though I must point out, a slug is a slug. So, why not entertain slugs and snails around your garden? Both are destructive. Snails will eat around the edges of leaves or eat whole baby leaves. And what’s a plant without its food factory? (the leaves). The snails have razor-like tongues that facilitate the sawing of the leaf edges. Slugs, on the other hand, bore holes in leaves or eat whole baby leaves and bore into tender roots. Not nice at all. Hence, it is crucial to get rid of both slugs and snails before they bring the entire garden down. There are a couple of ways to get rid of the slugs and snails permanently. Some of the ways are relatively humane. In that, they do little or no harm to the slugs and snails. Furthermore, you just want to get rid of them not to be the destroyer of the slime kingdom. Also, the humane/organic ways will mean no harm or get rid of useful organisms in your garden. However, if the humane ways are not applicable to your case, it is okay to get rid of them in ways not so good to them. Below are ways on how to get rid of the slugs and snails permanently. This is simply a way to get them off your garden and move them to a new habitat where they are not pests. Scooping can be done using a small hand shovel. Do not use your hands to pick up the slugs and snails. It is not pleasant to have their slime all over your hands. If you decide to go this way, however, use vinegar and warm water to wash off the slime. Once you have scooped them, put them in a small bucket. Dump the slugs and snails in a compost heap or under some wild shrubs or take them to a park. In these new environments, the slugs and snails will not come back to your garden.however, be wise and dump them in places not so near your garden. The best times to collect the slugs and snails is dusk or early morning; while it’s damp or while it is raining. You can set up a relatively small barrier that is not a pleasant environment for the slugs and snails and it will keep them away from your growing plants. There are different materials that can be used for the barriers. 1. Copper reacts with the snail/slug slime and causes a small electric shock. The snails and slugs will surely avoid the copper barrier knowing the effects of it. This will get rid of all the visiting slugs and snails. They surely will not come back. Use the copper around your garden. Ensure you keep changing or cleaning the copper once each week. Copper was out quickly. It can be washed using vinegar. 2. Dry eggshells or nut shells- these are dry and rough. Slugs and snails survive only in damp conditions. Hence a dry barrier is going to be uncomfortable for them. Ensure the shells are dry before placing them out there. The shells are also rough hence may cut the slug or snail. This is another way to surely get rid of them. The uncomfortable conditions will make them move. Sand and sawdust are also good barriers. They look ugly to the snail or slug. Also, they are dry, not a favorite to any snail or slug. The barrier method simply makes the environment not favorable to the snails and slugs hence they naturally move to a more conducive environment for them. When setting the barriers sent thick barriers: to avoid the bigger snails and slugs getting over them. Birds love eating slugs and snails. Hence they are a favorite way to get rid of the slugs and snails. Domesticated birds are best to use just before planting. After planting the birds will unearth the seeds or trample on the growing seedlings or peck on the young leaves. This way the domestic birds will have served their purpose but done more harm. Therefore, release the domestic birds into the slug filled garden only before planting. Let the birds enjoy their feast and get rid of the snails and slugs permanently. Domesticated birds could include chicken and ducks. Be sure to release them early in the morning before the slugs and snails go into hiding. There are plants that snails and slugs do love. Having them around your garden will help get the slugs and snails from your garden. You simply lure the snails away with a promise of better food for them. The plants are not harmful to your garden in any way. Actually, most are an added advantage. They add nutrients to the soil. The sacrificial plants are leafy hence will keep the snails and slugs away permanently. Examples of sacrificial plants suitable for slugs and snails include lettuce and red clover. This is the most traditional means around. It has been in use for many years for the snail and slug control. Can be done by sprinkling salt over collected slugs and snails. Point to note here: the slugs and snails have to be collected first. Do not pour salt into your garden. Salt poured on your garden will increase the soil salinity, decrease the soil’s pH hence making the soil acidic. This is hazardous to the plants in your garden. They may end up dead too. Therefore collect your snails and slugs first, then destroy them with salt outside the garden. Salt crystals bind moisture hence is deadly to slugs and snails. For use within the garden, use double-sided tapes or a broken gutter. Sprinkle the salt on the double-sided tape. Pour salt on the broken gutter and place the broken gutter on the garden as a barrier to the snails. Just in case the salt pours on the soil while watering or when it rains, use garden lime to counter the salinization. The garden lime will bring back the pH to neutral. Salt is a slow but sure way to kill all the snails and slugs. Studies have shown that high concentrations of caffeine spayed on slugs and snails will kill them. 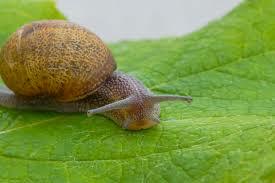 Low concentrations will make the slugs and snails leave the garden and stop feeding on the garden. Spraying plants with caffeine also prevent slugs and snails from eating them. How to get the caffeine in your garden: you may buy caffeine based commercial sprays. These have high concentrations of caffeine hence will kill the snails and slugs instantly. You may also use a solution of alertness or stimulant capsules that contain caffeine. Simply spray the solution on the garden soil. One may also use used coffee grounds. The used coffee grounds are poured and spread on the soil. Used coffee grounds can be purchased in coffee shops. The caffeine is also beneficial to the garden soil. The caffeine is organic matter hence it enriches your soil. beneficial insects that improve the air circulation in the soil. Hence will serve two purposes at a time. Snails and slugs just like every other living organism on the food chain have predators. The only reason the snails and slugs thrive so well in your garden is due to lack of enough natural predators to feed on the slugs and snails. Slugs and snails have a couple of enemies/natural predators. They include ground beetles, pathogens, toads, snakes, turtles, birds, nematodes, hedgehogs, moles, lizards, and songbirds. Nematodes are small microscopic worms known to kill snails and slugs. Most of these natural snail and slug predators are harmless to your garden. However, the environment in your garden could possibly be not conducive to the natural predators. Hence, it is important to work on ways of attracting the natural predators and also providing a suitable habitat for them. Some of the ways to do this include: planting indigenous plants, creating wild corners within your garden, having a pile of stones with cracks somewhere near your garden, having a natural hedge around your garden, minimizing the lighting within the garden if possible and avoiding the use of insecticides and other chemicals that are harmful to the predators. The slug pellets and baits contain low percentages of metaldehyde. Metaldehyde is effective at killing snails and slugs. The metaldehyde works by dehydrating the snails and slugs. It kills the snail or slug instantly. The bait resembles dog food and is flavored with bran or molasses to attract the snails. The baits are sold off the counter. However, this may not be a safe method if you have pets around the garden. The metaldehyde is also toxic to dogs, cats, and birds. Hence use the baits only if you have no pets around the garden. The above ways will help get rid of slugs and snails permanently. A snail free garden is a highly productive garden. However, avoid ways that will mean harm to your garden in any way. Go for the harmless means first. There are molluscicides available in pesticide shops. However, the molluscicides will be harmful to other beneficial insects and creatures in your garden. Some molluscicides will even destroy your plants. Make your choice and get rid of the snails and slugs easily. Be kind on them though. Go for the more natural means. Relocating them is the kindest you can be.